What will it take to become Amazon of insurers, Susan Kuchinskas tries to find out. The burning question: how can insurance carriers be more like Amazon? As you’d expect at an insurance-tech conference, technology could be the answer. Customer experience, not discounts, was a major theme at the conference, with several keynote addresses that moved the discussion beyond usage-based insurance. More accurate risk ratings and pricing are good, they agreed. Bigger data that includes not only driving behavior but a host of other sources can, and should, be used to provide the kind of personalized, digital experience that consumers, used to Amazon services, demand. An audience poll showed that close to half of the conference attendees were from insurance carriers, with the rest a mix of telematics service providers, software and hardware makers, automakers and consultants. They saw the biggest opportunity in usage-based insurance, at 36%, with 21% each voting for connected claims and mobility insurance. At past conferences, one pressing concern was a lack of consumer awareness and/or interest in usage-based insurance but times have changed. Keynoter David Lukens, senior director of global product, insurance, for LexisNexis Risk Solutions, presented proprietary research showing that it may be insurers, not consumers, that are responsible for weak UBI adoption. The company’s consumer survey of 2016 found that 71% of consumers thought insurance pricing based on actual driving was fairer; 88% believed pricing based on their personal behavior was a good or excellent idea. Moreover, in 2018, one-in-five agents reported consumers make unsolicited requests for UBI programs and 50% of consumers who were offered UBI programs opted in. In his keynote address, Geoff Werner, Americas country manager for Octo Telematics, called for more collaboration, even among traditional competitors. While telematics data on its own is three to 10 times more powerful than risk factors being used today, Octo has found. He said the future is non-uniform, IoT data, big-data analytics and optimized and personalized risk assessment. The presenters agreed that, in a future where insurance marketplaces allow insurers to reach consumers with offers, differentiation will come not from price but from the consumer experience and optimized, individualized offers that look beyond risk. Jimmy Spears, assistant vice president for auto experience, external partnerships and client management at USAA, gave an example of how this looks today at his company, which serves the military and their families. Because of its integration with financial service companies and TrueCar, USAA can act as a trusted adviser for every part of the consumer cycle, from shopping for a car, through buying and insuring, and on to maintenance and an eventual sale. There definitely is need for a platform that could ingest the increasing volume of data coming from telematics devices, smartphones and embedded modems, normalize it, and make it available to insurers. Companies are competing to provide that platform. In addition to Verisk’s Data Exchange, Octo Telematics offers the DriveAbility Marketplace. 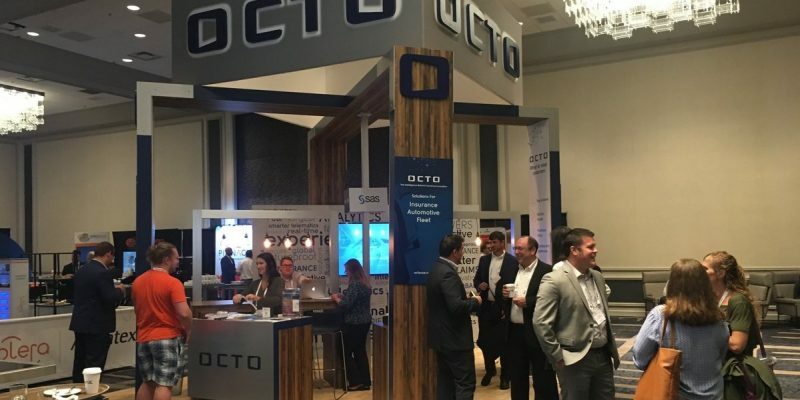 Geoff Werner, Americas country manager for Octo Telematics, predicted that eventually these marketplaces will include a variety of data sources, for example, the Internet of Things and social media. Right now, data exchanges suffer from chicken-and-egg syndrome. There are too many exchanges, and automakers are providing data to only one, creating fragmentation. Ben Crowley, personal lines product manager for The Hanover, noted that multiple data exchanges make it cost-prohibitive for insurers to participate. “Until the distribution becomes narrower, there will be slow take-up from insurers,” he said. Delin Shen, head of predictive modeling for personal lines at AIG, agreed. He said there’s not much incentive for insurers to participate in data exchanges because there is so little data in them. “If data exchanges or marketplaces can cover 50% to 80% of the market, insurance companies will have an incentive to contribute and order data,” he said. However, he sees this as three to five years away, waiting for increased penetration of connected cars. In four-minute flash presentations, four insure-tech startups vied for the approval of judges Adrian Copland, accelerate partner and operations director of XL Catlin, and Michael Kindrat-Pratt, senior director of the State Auto Labs Fund of Rev1 Ventures. Teraki promises higher event detection accuracy at lower costs. Its software solution reduces the data by 98% while still achieving high accuracy. “We make data processing hugely effective and increase event detection rates for the use cases you want,” said CCO Geert-Jan Van Nunen. Dreyev uses a driver-facing dashcam to detect driver distraction or drowsiness, generating smart alerts. It can provide analytics across drivers for fleet operators. CTO Robert Sicconi said the company wants to work with commercial fleets and transportation networking companies. Xtract is a claim tool that aggregates and visualizes claims data. It takes raw data from a device and presents it just a few seconds later in a visual way, providing a timeline of key events. “We want to be the platform of choice for capturing and delivering claims-driven insights from connected and autonomous vehicles,” said CEO Michael Flanagan. Ridar Systems is a cloud-based mobile solution that lets two wheelers, motorcycles and bicycles, be part of the connected car conversation. It alerts the driver five seconds before a potential interaction between vehicles, aka an accident, is predicted to occur. CEO Brent Massey said Ridar could save lives, reduce injuries and improve loss prevention for insurers. Dinesh C, chief creative officer at Carvi, said services like his, which provide telematics based on image recognition and machine learning tools, could bring telematics and data to the 95% of cars that are not currently connected. Concurrent with the show, Agero announced Driver360, a mobile solution that uses smartphone sensors for automatic crash detection, response and prevention. The solution includes a mobile software development kit that can be integrated into existing insurance providers’ and automotive manufacturers’ mobile apps. In his conference presentation, Jeff Blecher, Agero’s chief strategy officer, noted that insurance carriers experience incremental loss costs of $875 to $1,050 in their current process. “If we can get 100% of consumers to call their insurance carrier from the scene of an accident, we can save $3Bn,” Blecher said. These are the opportunities in today’s world of connected insurance. Stay tuned for a report from day two of the conference. Now catch up with the news from Day Two.